…and now available to you without a prescription. Pain is a sag and a drag, and I declared war on it a long time ago. Why? Because creaking, aching joints makes it hard for you to do all the fun things… like traveling, spending time with your kids or grandkids or going out for a night on the town. And it makes it hard for you to do the little things… like opening a jar of pasta sauce… buttoning a shirt or blouse… or getting in and out of the tub or your car. Most people just “grin and bear it” when it comes to joint discomfort. But not my patients, my family and me. …something that GETS YOU MOVING and makes your joints feel YOUNG and FUN again! 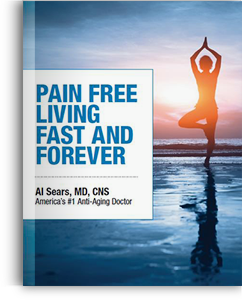 As a medical doctor, I see many first-time patients who are plagued by stiff, creaking joints… and they tell me they’ve tried all the “solutions” without much success. They’re frustrated, and who’s to blame them. Many “solutions” don’t knock out the root cause of joint discomfort. Too weak. Many “solutions” don’t work fast enough. Too slow. Many “solutions” aren’t safe to take for the long term. Too risky. …I found it 8,851 miles away from my clinic in South Florida. I always been fascinated by my trips to India, and it was there that I discovered the “King of Oils” that’s the most significant breakthrough I’ve ever found for easing joint discomfort. Religious leaders treasured this “holy oil.” Ancient healers valued it more than gold for its medicinal properties. Marco Polo prized it as he blazed the Silk Road. And Ayurvedic practitioners, to this day, rely on it for healing and detoxification. Even better, this “King of Oils” is the centerpiece of my new “plant prescription” to conquer your creaky, aching joints called Mobilify. A first in natural medicine, delivering relief like nothing else, now available to you. As you’re about to see, Mobilify is different and better than anything you’ve ever tried for stiff, aching, aging joints. It’s the first and only formula that deactivates 400 pain-causing genes and sweeps harmful toxins out of your joints to relieve creaking joints in as little as 5 days. Yet it’s so safe you can take it every day, even for the long term, without risk or worry. Pain-Causing Gene. This “King of Oils” Deactivates 400 of Them! If you want genuine and long-lasting relief for joint discomfort, then you need to help your body have a normal response to inflammation. As you probably know, inflammation is the response of tissue to injury or infection, usually followed by heat, redness, swelling and pain. A little inflammation is good because it fights off foreign invaders, heals injuries and sweeps up debris. Now, deactivate NF-Kappa B with the Indian Frankincense in Mobilify. But too much inflammation will wreck your joints… break down cartilage… and cause unending discomfort. That’s why so many natural joint pain “solutions” go after stopping one of the main inflammatory genes, called COX-2. But the truth is, there are hundreds of pain-causing genes like COX-2, 5-LOX, iNOS, TNK, Interleukin 1,6,8 and many more — and stopping just one of them won’t give you all the relief you need. Yet now, I have exciting news from the frontiers of natural medicine. Doctors and scientists now confirm that the “King of Oils” — Indian Frankincense — deactivates not one but 400 inflammatory genes. Because Indian Frankincense shuts down the inflammation command center called Nuclear Factor Kappa Beta (NF-Kappa B). As you age, NF-Kappa B intensifies, igniting an inflammatory cascade throughout your body. NF-Kappa B is like a switch that can turn 400 inflammatory genes “on” or “off.” Left unchecked, it triggers widespread health problems including pain and stiffness. But shut NF-Kappa B down, and inflammation is deactivated and joint discomfort is relieved. And that’s just what Indian Frankincense does. NF-Kappa B is the pathway to inflammation and pain… and Indian Frankincense SHUTS OFF that pathway to give you blessed relief. That’s why it’s the cornerstone of my new Mobilify formula. 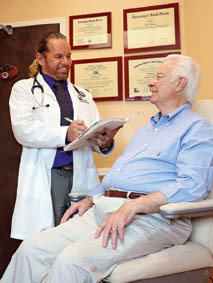 Many so-called “solutions’ for joint discomfort may give temporary comfort. But they don’t get to the real problem. In the short-run, they work because they BLOCK the natural signals to tell your body something is WRONG. Eventually, these solutions will not deliver the kind of relief you really need. You want to get to the true source of joint discomfort: NF-Kappa B and shut it down. That’s what the Indian Frankincense in Mobilify does. Glucosamine Takes up to 8 Weeks to Work. Now, Get Relief 10 Times Faster… in Just 5 Days! When I see patients for the first time at my clinic who are suffering from joint discomfort, they tell me most natural pain relievers work too slowly. Take glucosamine. It has been one of the best-selling natural supplements for discomfort… yet you might have to wait weeks and weeks to get relief, if at all. In fact, the National Institutes of Health reports that it can take as long as 8 weeks for glucosamine to work. Some research also shows glucosamine might not work for people who are older… heavier… or have more severe, long-standing pain. But who wants to wait that long to get relief? That’s why I’m excited to report that the Indian Frankincense found in my Mobilify formula works faster than anything I’ve seen for relieving aching knees, hips and joints. In a study published in the International Journal of Medical Sciences, placebo every day for 30 days. 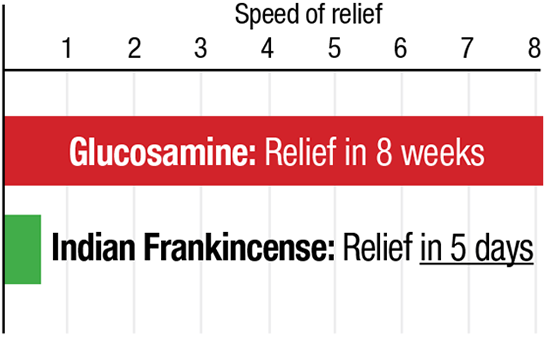 Remarkably, according to the scientists conducting the study, Indian Frankincense “significantly improves joint function and relieves [discomfort] as early as 5 days.” That’s blessed relief that’s 10 times faster than glucosamine! Now, with my Mobilify formula, you can get measurable comfort and relief fast — no more waiting weeks and weeks! What made Frankincense so valuable that the Wise Men presented it to the infant Jesus? And why did Pliny the Elder, Roman author, naturalist and philosopher, write that frankincense made the southern Arabians the richest people on earth? The answer is found in its remarkable value as a medicinal substance for health and healing. Scientists at Cardiff University in Wales add that frankincense may help alleviate symptoms of joint discomfort. And Ajay Goel, PhD, Director of Epigenetics and Cancer Prevention, Baylor Research Institute at Baylor University Medical Center adds that frankincense’s full potential is just beginning to be realized. Glucosamine can take up to 8 weeks to work, if at all. with Indian frankincense in Mobilify. Imagine All the FUN You’ll Have When Your Joints are Renewed, Rejuvenated, Reborn! Enjoy the best of life with friends and family… pain-free! India has always fascinated me because of its centuries-old history of Ayurvedic medicine. More often than not, these natural alternative solutions work as well or even better than conventional medical solutions. In this study, people suffering from discomfort took a formula containing Indian Frankincense and another natural substance or a popular man-made joint solution every day for 12 weeks. The results? Not even close! At the beginning of the study, 85% of those taking the Indian Frankincense formula had moderate or severe joint discomfort. After 12 weeks, only 21% had no relief. That means 64% of these folks saw their joint discomfort go from moderate or severe… to mild or no pain. Those taking the most popular joint solution? At the beginning of the study, 78% had joint discomfort that was moderate to severe. At the end of the study, 50% still had discomfort. Only 28% of them got the kind of relief they wanted. Imagine suffering joint discomfort all your life… and then, watching it vanish. Sound farfetched? Not for Larry M. of Talent, OR, thanks to Mobilify. All of his life, Larry had trouble with his ankles. By age 68, all the years growing up, sports injuries and military service had really taken their toll on him. So he began taking glucosamine, chondroitin and MSM. 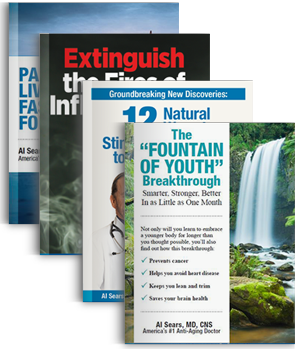 Larry had some success taking these natural “solutions,” but he was still not satisfied. He was still bothered by changes in the weather, mainly in the winter, that left him stiff and achy. Then, thanks to good fortune, Larry found Mobilify. Shirley is bounding up and down stairs again without sore knees thanks to Mobilify! Never thought I could feel this good again! “I injured my back in the military in 1970. After several operations it got worse and my inactivity lead to diabetes. With it came high cholesterol, weight gain, difficulty breathing, high blood pressure and the inability to go up a flight of stairs. How Dennis got back to golfing! 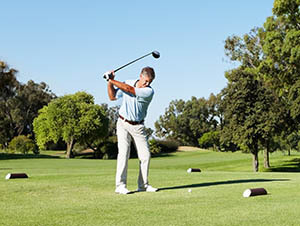 “I am an avid golfer. My knuckles get stiff and sore. I have tried many pills with no effect. Tried your Mobilify. Have had excellent results in reducing discomfort and improving flexibility. “Mobilify really helps with soreness and stiffness. “Do No Harm” Joint Relief — Hallelujah! Get to the root cause of the discomfort. Start to enjoy smoother, freer joints. My patients really appreciate the fact that when I treat them, they know my treatments will be safe, 100% natural and free of dangerous side effects. This is very important because many conventional “solutions” may relieve your discomfort… but may also cause a number of serious side effects. No such worry with Mobilify. You banish joint discomfort, safely, without fear or worry of side effects. A “plant prescription” like no other! This is important because as I’ve noted, some well-known natural pain solutions don’t work for everybody (like glucosamine). That’s why I was glad to find out that Indian Frankincense has a remarkable track record of success at quelling stiff, aching joints — for everybody taking it. For example, Phytomedicine published the results of a randomized, double blind, placebo controlled crossover study conducted with patients suffering from knee discomfort. Every day for eight weeks, they got either Indian Frankincense or a placebo. Then the groups switched and got the opposite intervention. Every one of the patients taking Indian Frankincense got relief. That’s a 100% success rate! But there’s even more proof! Yet in another study published in Arthritis Research and Therapy and conducted in part by UC Davis scientists, 70 patients with aching knees took Indian Frankincense or a placebo every day for 90 days. Once again, this “King of Oils” proved to be highly effectively in relieving the discomfort. This is another reason why Indian Frankincense is the centerpiece of my new formula, Mobilify. It works so well for everybody taking it. 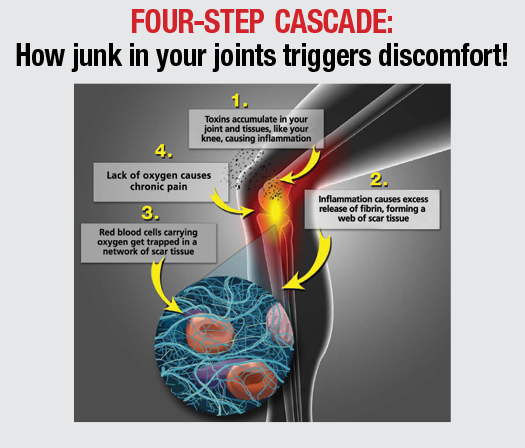 Is Junk in Your Joints Causing You to Ache? Now, wash it away from the inside out! Did you know, by the time you’re 50, you could have almost 5 pounds of toxins trapped inside your tissues, cells and organs? For millions of years, this was not a problem. We had clean air, pure water and healthy foods. But for the past 100 years, our environment has changed… and detoxifying your body is more important than ever. Toxins are often found in the form of Advanced Glycation End Products (AGEs) ingested in food. The truth is, pollutants, chemicals and other toxins sneak into your body all day, every day… from food, water, air, and every surface you touch. Environmental toxins can cause serious health effects. Left unchecked, they collect in your tissues and clog up your joints. When your body can’t clear these toxins out fast enough, they build up and cause inflammation. The result? Instead of easy movement, you feel aches and discomfort. But here’s great news! In the mountain villages of South America, places I could only get by foot, there’s a discomfort-fighting flower growing that works at the site of soreness. There’s a compound in it that speeds up the revitalizing process. Even better, it helps reduce discomfort and clears out toxins at same time. It’s like an internal cleanse for your joints that clears aches right out of them! What is it? It’s Meadowsweet… and that’s why it’s the second key ingredient in my new Mobilify formula. For centuries, meadowsweet has been prized by natural doctors and herbalists as a powerful detoxifier. Not only does it sweep toxins out of your joints, but it also helps your body have a normal inflammatory response. Remarkably, meadowsweet addresses the two main causes of pain: inflammation and toxins in joints. And now, it’s available to you in my new Mobilify formula. Now, sweep out discomfort-causing toxins with meadowsweet found in Mobilify. It’s the Original Source of Relief! To the surprise of many… meadowsweet is the plant science copied to create the synthetic drug aspirin. Except nature has the scientists beat on this one: meadowsweet has no side effects! That’s right. You get the “original” joint soother without side effects. This flower is a great example of why no matter how many times we think we’re smarter than nature, nature is better. As a medical doctor, I especially like the fact that meadowsweet stores its active discomfort-easing compounds in an “inactive” way, so when you ingest them, they go past your stomach intact. Then your liver safely converts them into the compounds that really work to knock out aches. in One and a 300% Stronger Dose to Boot! For years, I’ve used “plant prescriptions” like Indian Frankincense and Meadowsweet to help my patients knock out joint discomfort. But in formulating Mobilify, I wanted to harness all of the most potent natural joint soothers I’ve found in one. 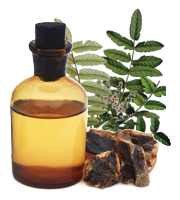 400 mg of Indian Frankincense, the “King of Oils”: This is a dose that’s 300% stronger than the average dose used in the studies I mentioned showing the power of Indian Frankincense in wiping out joint aches. 300 mg of Meadowsweet, the “better than aspirin” natural reliever: Powerfully effective at sweeping toxins OUT your joints and quelling inflammation. 250 mg of Papain, the “papaya ache-fighter”: Taken from the fruit of the papaya tree, papain helps ease joint discomfort according to RxList.com. Papain attacks and helps breaks down the proteins in your blood that form scar tissue. It also clears away overgrowth of old tissue that clogs joints and tissues and triggers aches and soreness. 150 mg of Arnica, the “wildflower that soothes swelling”: Arnica works on the cellular level blocking inflammatory genes NF-Kappa-B and NF-AT. 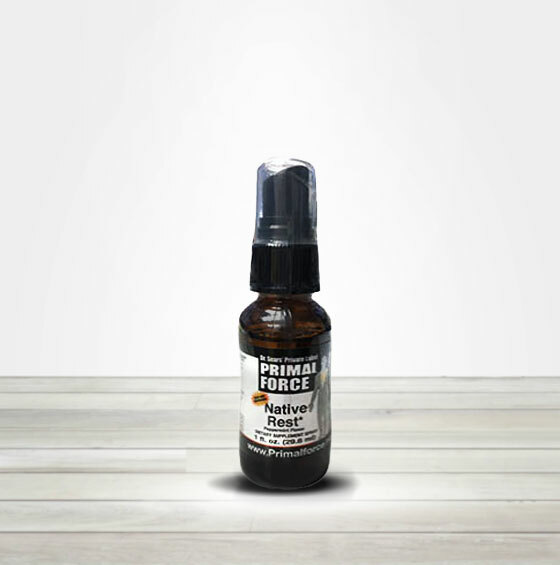 100 mg of Citrus Bioflavonoid, “nature’s super antioxidant”: This highly effective antioxidant found in the rind and pulp of citrus fruits, prevents free radical damage that can trigger aches and soreness. 50 mg of Hibiscus, the “medicinal flower”: Used for centuries to help ease stiff joints. Now, get all of these unique and powerful natural joint soothers in one! Mobilify brings together, for the very first time, the eight most potent natural joint soothers I’ve found in one new and improved formula. These are the same discomfort-fighting, toxin-clearing nutrients my patients have been taking — and now, they’re available to you. Nothing has worked better for wiping out the causes of creaky joints, not just covering up the problems, than Mobilify. thanks to a 100% Money-Back Guarantee! The results I’ve seen from my patients taking the special nutrients found in Mobilify have been great — the best I’ve ever seen for natural relief. And the letters and emails I’ve received from folks all across America who are taking it confirm its remarkable power. a $19.95 value, yours FREE! 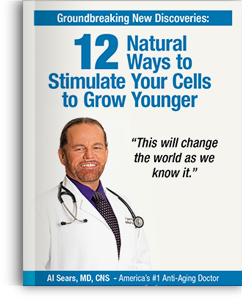 And much more on growing younger from the inside out, yours FREE! 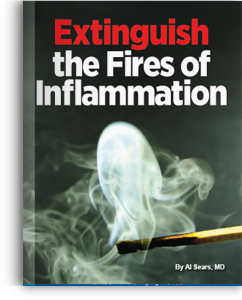 And many more secrets for quelling the fires of inflammation, yours FREE! 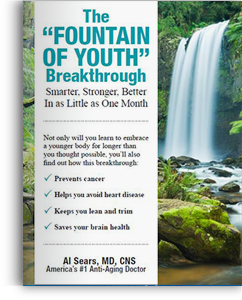 And many more secrets to help you tap nature’s fountain of youth, yours FREE! In all, that’s $171.60 in FREE Gifts and savings. I know the unique nutrients found in Mobilify are powerfully effective for relieving joint discomfort and stiffness. I’ve seen the remarkable results with my own patients and read the letters and emails from folks all across America who have taken it. That’s why I’m confident it will work for you, too. 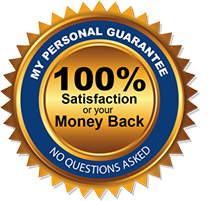 But to take away any hesitation or risk on your part, I’m backing your order with a 100% Money-Back Guarantee. Try Mobilify for yourself. If for any reason you’re not satisfied, just return any unused or empty bottles within 90 days from day of purchase, and you’ll receive a full, prompt refund of everything you’ve paid. Plus, you can keep all of your FREE Bonuses. What could be fairer or less risky than that? If your joints are hurting, then I’m sure that what you want is relief that’s effective, fast and safe. This is exactly why I formulated Mobilify. Decrease discomfort at a 78% better clip than the most popular joint solution. Makes aches vanish fast — in just 5 days. Alleviate soreness and stiffness with awhopping 100% success rate. Ease creaky joints safely… with zero side effects. Now, you can take the exact same nutrients my patients take in Mobilify and relieve, ease and even end achy, creaking joints. Order today… and start enjoying life again without worry of aches and discomfort. P.S. And remember, you risk nothing when you order thanks to my 100% Money-Back Guarantee. So order now. Order a 3-month supply of Mobilify for just $34.95 per bottle and you’ll also become a member of my exclusive VIP Auto Delivery Program. We’ll ship you a fresh, potent supply of Mobilify every 3 months. For your convenience, your credit card will be automatically charged with each shipment. That way, you ensure on-time delivery and you’ll never have to take time out of your busy day if you run out. You’ll receive 3 bottles (a 3-month supply) of Mobilify for only $39.95 per bottle, plus shipping and handling. That’s a total savings of 20% per bottle! You’ll receive 1 bottle (a 1-month supply) of Mobilify for only $49.95, plus shipping and handling. 1. Sengupta K., et al. “Inhibition Of TNFα Production and Blocking Of Mitogen-Activated Protein Kinase/NFkB Activation In Lipopolysaccharide-Induced THP-1 Human Monocytes By 3-O-Acetyl-11-Keto-β-Boswellic Acid.” Journal of Foods Lipids. 4 August 2009. 2. Vishal A., et al.“A Double Blind, Randomized, Placebo Controlled Clinical Study Evaluates the Early Efficacy of Aflapin® in Subjects with Osteoarthritis of Knee.” Int. J. Med. Sci. 2011. 3. Cohen J. “A Wise Man’s Cure: Frankincense and Myrrh.” History.com. 2011. 4. Kizhakkedath R. “Clinical evaluation of a formulation containing Curcuma long and Boswella serrata extracts in the management of knee osteoarthritis.” Mol Med Rep. 2013 Nov.
5. Singh G. “Recent Considerations in Nonsteroidal Anti-Inflammatory Drug Gastropathy.”The American Journal of Medicine. July 27, 1998. 6. Kimmatkar N., et al. “Efficacy and tolerability of Boswella serrata extract in treatment of osteoarthritis of knee — A randomized double blind placebo controlled trial.” Phytomedicine. 2003 Jan.
7. Sengupta K., et al. “A double blind, randomized, placebo controlled study of the efficacy and safety of 5-Loxin® for treatment of osteoarthritis of the knee.” Arthritis Research & Therapy. 2008. 8. World Health Organization. (2006). Almost a quarter of all diseases caused by environmental exposure [News release.] Retrieved from http://www.who.int/mediacentre/news/releases/2006/pr32/en/. 9. Semba RD., et al. “Does accumulation of advanced glycation end products contribute to the aging phenotype?”J Gerontol A Bio Sci Med Sci. 2010 September. 10. Drummond E., et al. “Inhibition of Proinflammatory Biomarkers in THP1 Macrophages by Polyphenols Derived From Chamomile, Meadowsweet and Willow bark.” Phytotherapy Research. 18 June 2012. 11. Brien S., et al. “Bromelain as a treatment for osteoarthritis a review of clinical studies.” Evid Based Complement Alternat Med. 2004 Dec.
12. Klein G., et al. “Efficacy and tolerance of an oral enzyme combination in painful osteoarthritis of the hip. A double-blind, randomized study comparing oral enzymes with non-steroidal anti-inflammatory drugs.” Clin Exp Rheumatol. 2006 Jan-Feb.
13. Cha MH., et al. “Baicalein inhibits adipocyte differentiation by enhancing COX-2 expression.”J Med Foods. Feb 2006. 14. Tveiten D., et al. “Effect of Arnica D30 in marathon runners. Pooled results from two double-blind placebo controlled studies.” Homeopathy. 2003 Oct. Results may vary from person to person. No individual results should be seen as typical.